Joe Lauer speaks at the Galesville UWEX event. 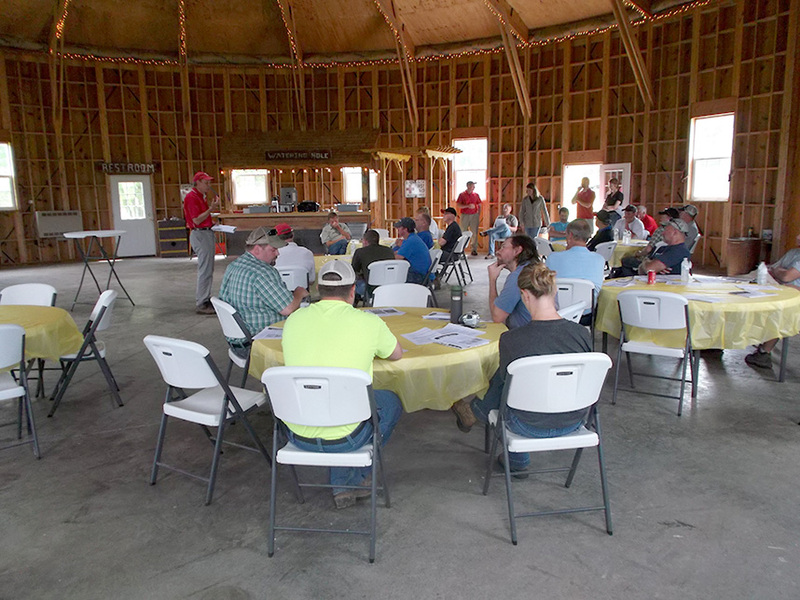 This past Wednesday, June 12th, Allied Cooperative sponsored the Crop Management Field Day at the Ron Weltzein Farm, just south of Galesville, WI. UW specialists went over many important topics, such as insurance issues with prevent plant, selecting the right maturity for your corn, soybean considerations, herbicide issues, fertility management, and insect control options. In attendance from Allied Cooperative were local sales agronomist Nathan Ausen, agronomist Rob Shields, and intern O’Bryan Decker.